“There’s more than one way to eat crawfish. 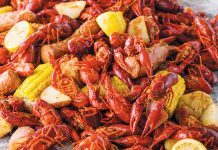 Sure, having family and friends gathered around the table at a backyard crawfish boil might be one of the best ways, but for centuries, culinary creators around Louisiana have been finding countless ways to utilize magical mudbugs. Go to a good Cajun home, and you’ll still find crawfish bisque with heads stuffed the old-fashioned way. At the New Orleans Jazz and Heritage Festival, you’ll find the famous cheesy crawfish bread brought over from the fine folks at Panorama Foods in Marksville, Louisiana. Whether they are added to an étouffée, fried into delicious morsels, or incorporated into an omelet, crawfish are a cornerstone of Louisiana cooking. Heck, you can even make crawfish boudin if you really want to. And seriously, who wouldn’t want to do that? Crawfish and rice often come from the same plots of land, so they might as well be eaten together. A heap of good vegetables, including the Holy Trinity, mixed together with rice, spices, and crawfish tails really can’t go wrong. Take that mixture, stuff it into a casing, and you’ve got the makings of something special on your hands. In a large bowl, combine crawfish, salt, and peppers. Set aside. In a large skillet over medium heat, add canola oil, and cook onions, bell pepper, celery, and garlic until softened, about 5 minutes. Add crawfish mixture, and cook 15 minutes more. Remove from heat, and fold in rice. Stuff casings while filling is still hot, twisting into 4-inch links. 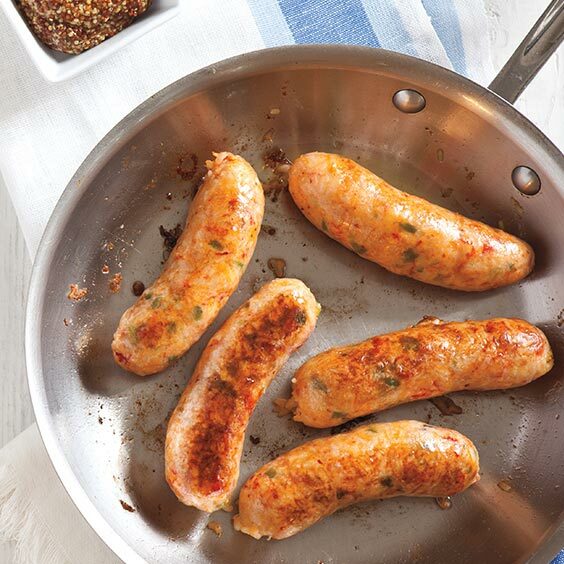 In a large pan, add crawfish boudin links, and cover with water. Cook over medium-high heat, keeping just below a simmer; cook until heated through, 15 to 20 minutes. Drain. In a large skillet, add crawfish boudin, and cook over medium-high until golden brown on all sides. Serve immediately with mustard, if desired. Where do you find pork casings? The best thing to do is ask your local butcher (or the folks at your supermarket meat counter). If you bought the casings online, you’d probably have to order in bulk. When making the crayfish (crawfish) boudin the old fashioned way omit the rice. Good.eating!!!!!. Once the sausages are prepared, you will simmer them for 15 to 20 minutes before cooking them in a skillet until golden brown. Step 3 of the instructions explains this process in greater detail.